The kitchen pantry can get pretty full and messy in a short period of time, especially if you don’t have a system in place which can help you store everything efficiently. But that’s not a reason to just give up. 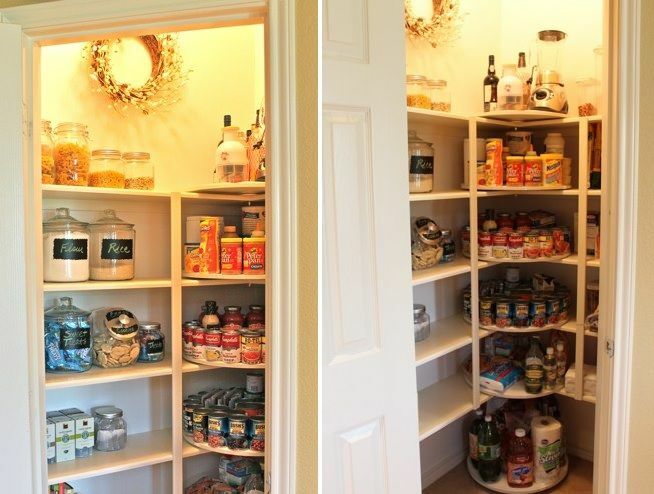 In fact, it’s the perfect incentive to make you want to give your pantry a makeover. This can mean a complete renovation of a space or just a few simple adjustments like adding some shelves on your kitchen pantry doors. 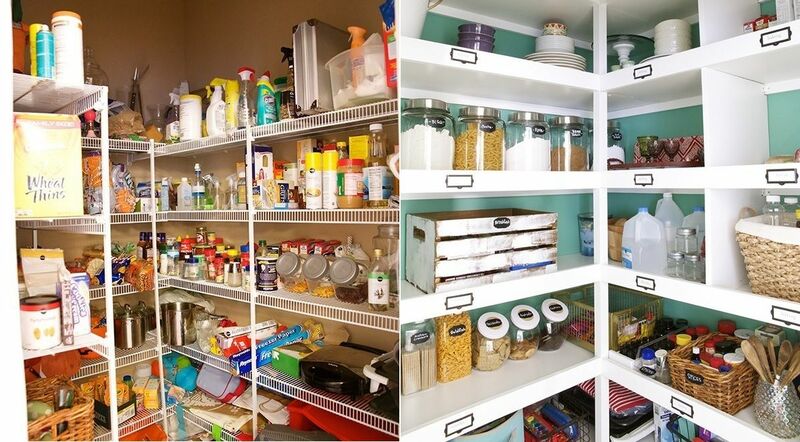 Check out our favorite ideas when it comes to pantry organization. Open shelves can be very practical for organizing and storing items, whether in the kitchen pantry, in the garage or somewhere else. However, it’s not just the actual shelves that matter but also the overall impression they create which partially has something to do with their design. Take this pantry makeover featured on thehandmadehome for example. The old shelves were ok but they didn’t really look great. The new ones look more solid, minimalist and also have labels which is a neat touch. You can store a lot of things in glass jars and they’re especially useful in the kitchen. 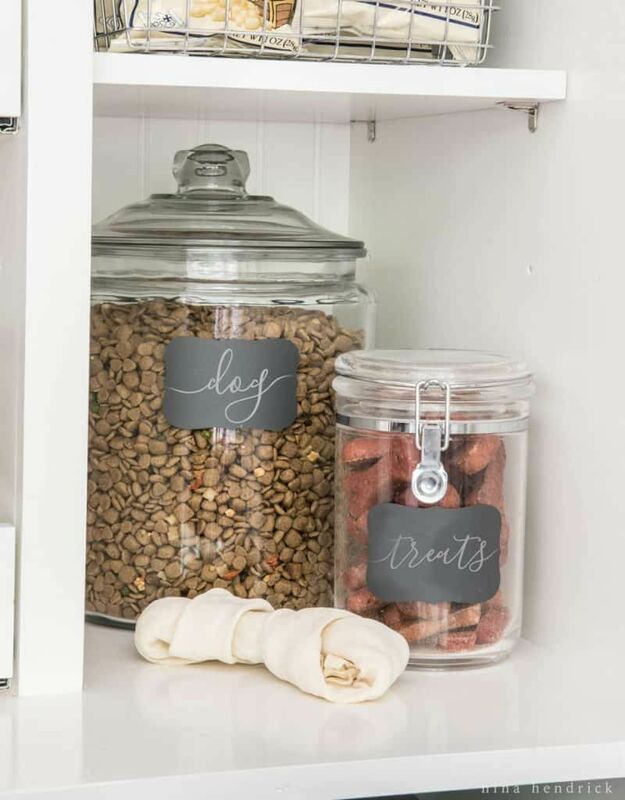 You can reuse regular jars with lids or you can get yourself a nice set of special storage jars of different sizes which look pretty and can be labeled so you can easily find the thing you need. Dividing large storage spaces into smaller compartments with specific purposes is a great idea, especially in the kitchen pantry when there’s a lot that needs to be stored and not exactly a lot of space to spare. A cool idea, for example, is to divide an open shelf area to create some tall and narrow compartments just for oven pans, lids, cutting boards and other such items. Check out ninahandrick for more details. 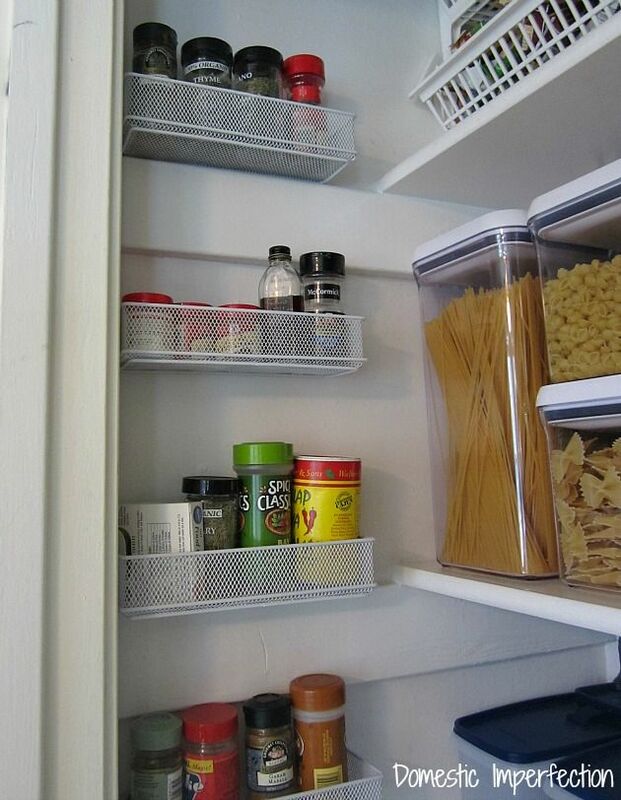 As practical as open shelves may be in the kitchen pantry, some things are too small to be organized and stored this way and a much better option would be to keep them in drawers. Pull-out-drawers are nice because they let you access the content at the back without having to first get things out of the way and they’re great for the lower sections of the pantry where shelves would be uncomfortable to use. 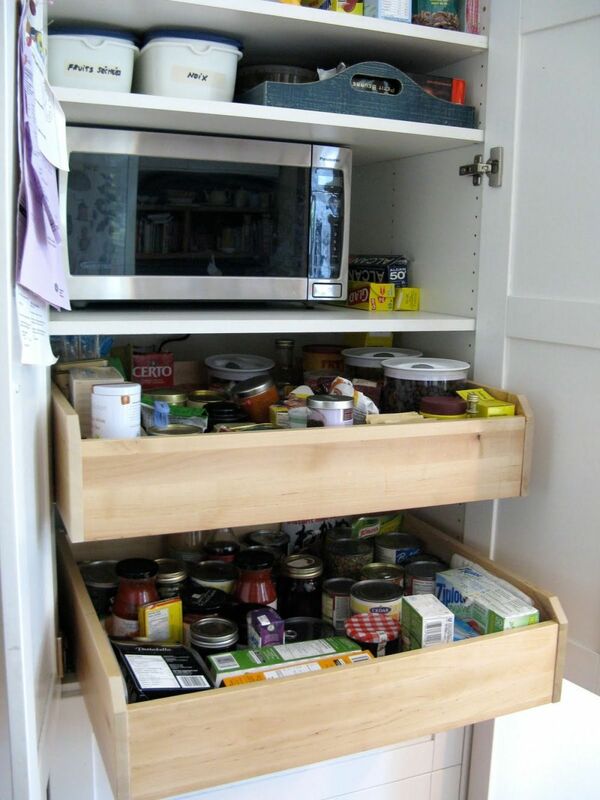 Check out ikeahackers to find out how to customize your pantry drawers. In addition to all the shelves and drawers that help you keep your pantry organized you can also add some hangers and racks to maximize the storage-efficiency of the space. 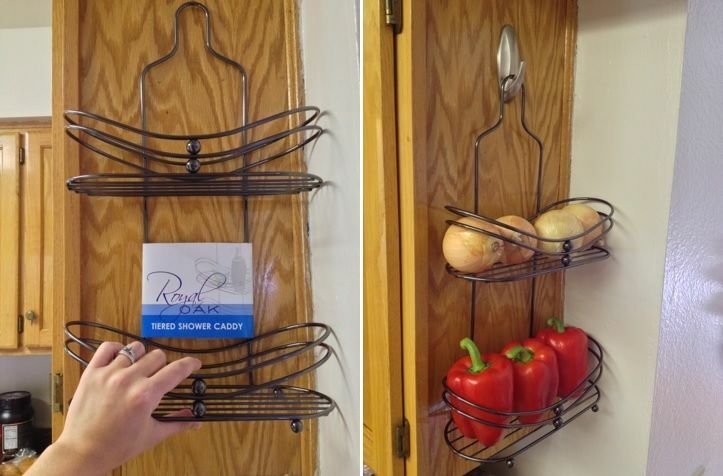 For example, you could add a little produce rack somewhere on the wall or on the back of the pantry door. On domesticdivadomain you can find the instructions on how to put it all together. Finding a practical way to store all the lids from the pot and pans you usually use in the kitchen can turn out to be an almost impossible challenge. Lids are very annoying because they take up a lot of space even though they’re slim and sometimes quite small. 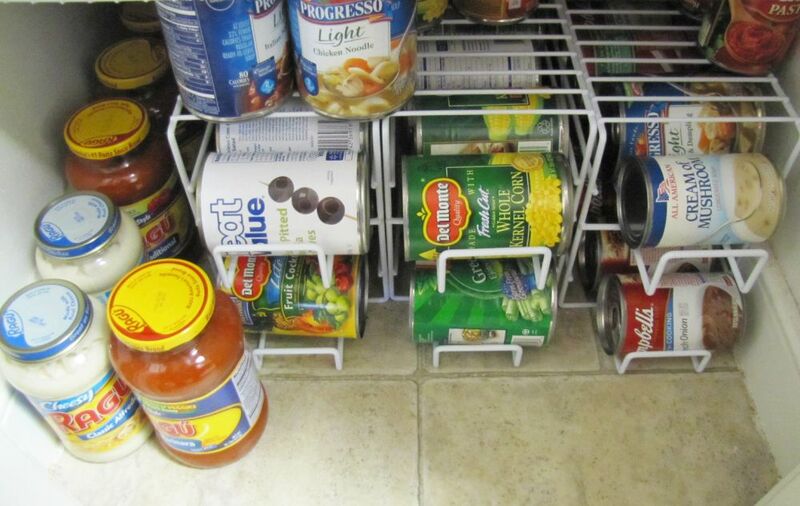 You can solve the problem once and for all with a special storage rack just for the lids. 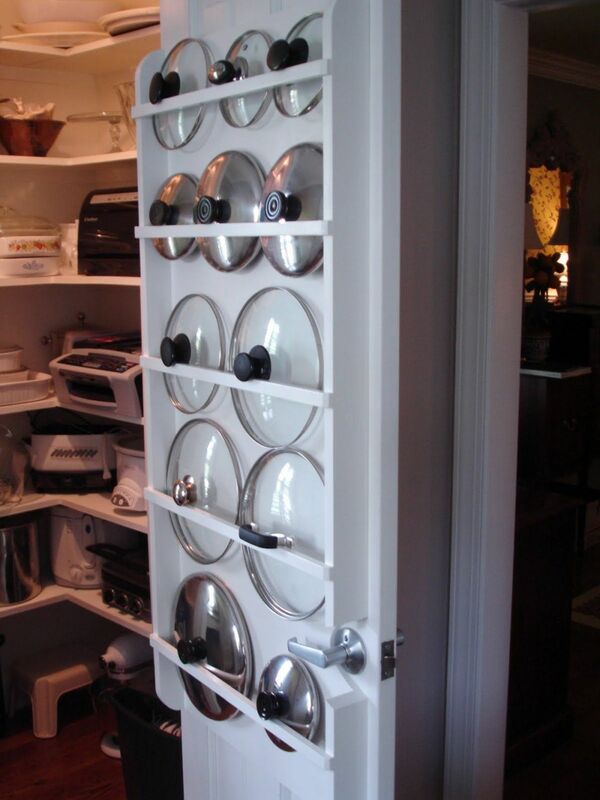 You can put it on the back of the kitchen pantry door, as shown on worthingcourtblog. Some things are notoriously difficult to store, like those packets of spices or those individual instant coffee packets. You usually have more than one and it’s best to keep them all in the same place. 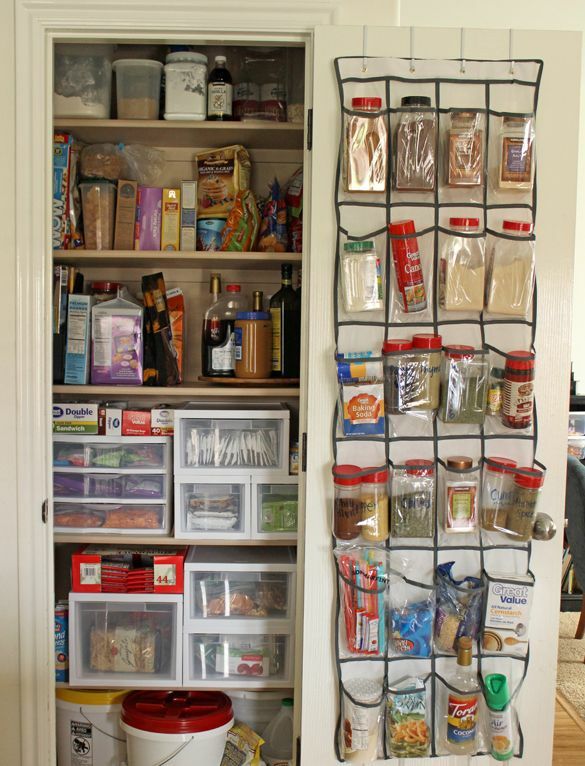 One idea can be to mount small storage containers onto the pantry wall. They can be transparent so you see the contents without having to browse through every time. It’s nice to have a nice stash of canned goods so you don’t always have to rush to the store every time you want to cook something. That’s what the kitchen pantry is for. If you know you’re always keeping canned goods or jars in there, perhaps you should think about a practical way to store everything. Wire racks can be great in this case. Just look how nice everything is lined here. This is an idea shared on makebakecelebrate. In case you didn’t already have this idea on your own, reusing wooden crates can be a very practical option. In the case of the kitchen pantry, you can have a rolling crate where you can store veggies, packed goods or grocery bags. Actually, you can store pretty much anything in a crate like the one featured on iheartorganizing. Corners are problematic in any space, not just the kitchen pantry. However, in this case we have a great idea which can turn an awkward corner into your favorite storage space: laxy susan shelves. They’re great for corners because they let you access the back part of the shelf without knocking things over or stretching your arm. Have a look at the pantry makeover featured on decorchick to see exactly how you can integrate such a feature into your design. It’s important to use all the space at your disposal when organizing the kitchen pantry so you can maximize its storage capacity. For instance, you may notice a small nook just between the door frame and one of the pantry walls. Instead of letting go to waste you could hang a few extra storage compartments there or you could put up some hooks or hangers. It’s a great idea which comes from domesticimperfection. 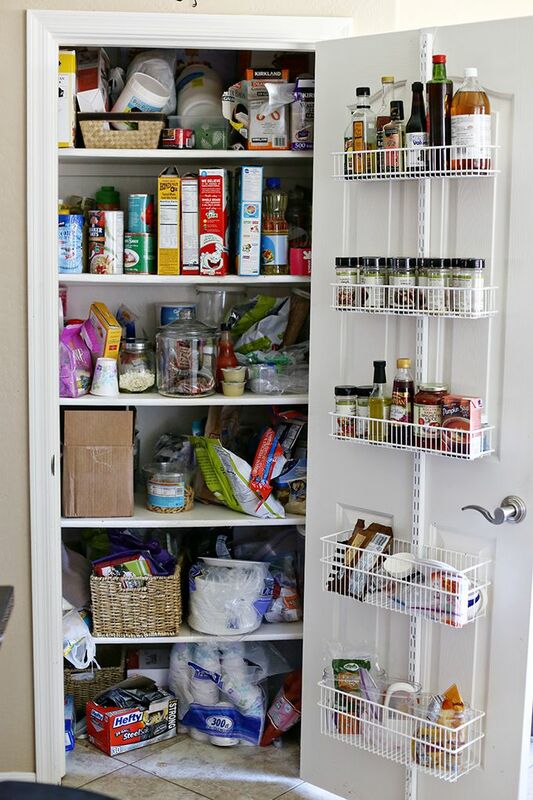 Using baskets or storage containers in the kitchen pantry is also a great idea because it lets you maximize the storage capacity of the shelves and also because they can labeled. It’s easier to organize everything when you know there’s a special basket for every type of item. You can keep all the pasta in one basket, the snacks in a different one, and so on. The pantry featured on tarynwhiteaker also has labels. 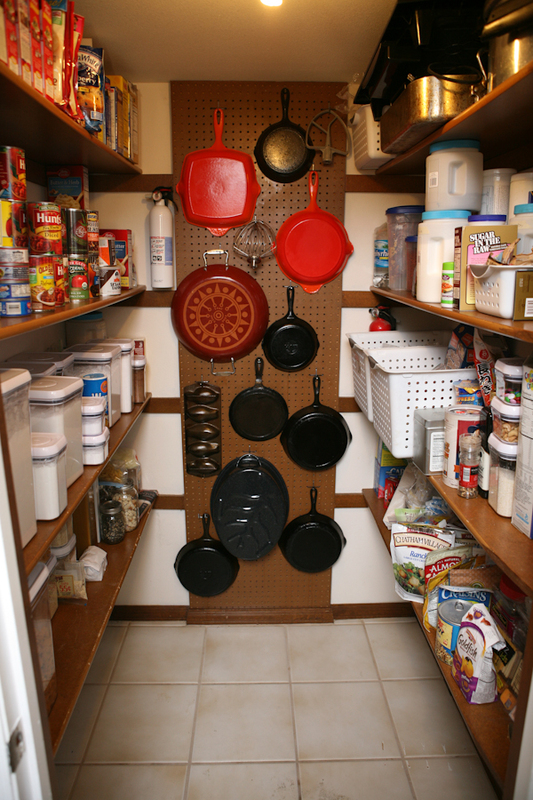 Not everyone has as many pans as you see in this pantry featured on eclecticrecipes but keep in mind that a smaller pegboard means more storage space for other things so that’s ok too. In any case, the idea of using a pegboard in this manner is really great. All you need is space so go free up some in your own kitchen pantry. You may have come across this idea before. 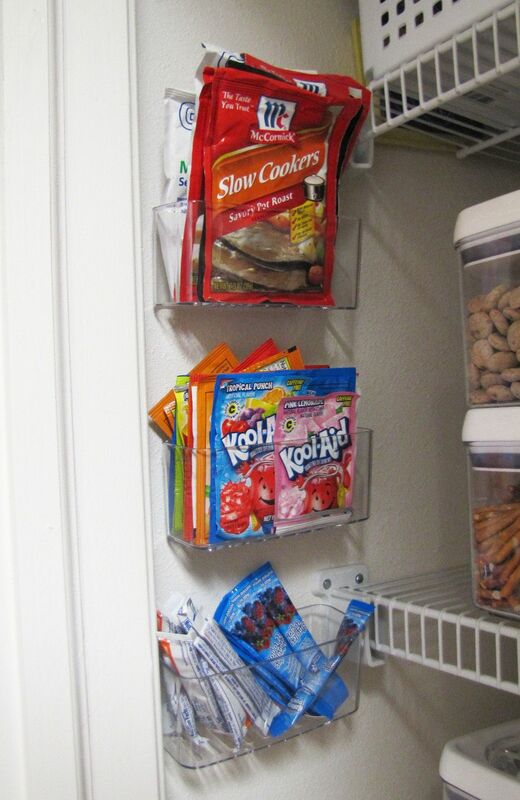 Those shoe organizers with pockets which you can hang on the back of a door are great and can be used to store a lot more than shoes, including things you usually keep in the pantry. 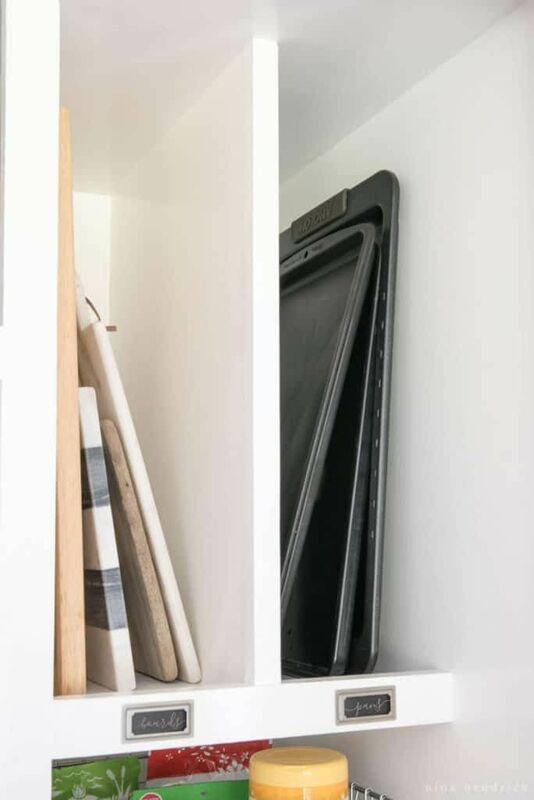 As demonstrated on prettyprovince, a shoe organizer can be a great asset in the pantry and, best of all, it doesn’t take up space on the shelves or walls. You can maximize storage in a small pantry by hanging wire baskets on the back of the door. 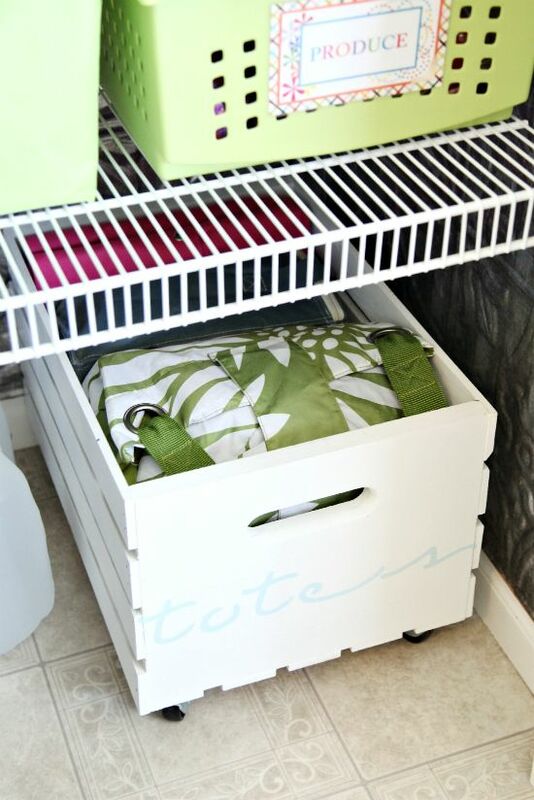 You can use these baskets to store little knick-knacks, snacks, bottles, jars and all sorts of other things. They’re easy to mount and easy to use. Find out more on seevanessacraft. The post How To Organize Your Kitchen Pantry For Maximum Storage Efficiency appeared first on Home Decorating Trends – Homedit.